Everyone can use a pair of neutral colored sparkly earrings that can be warn on any special occasion and match with many outfits. 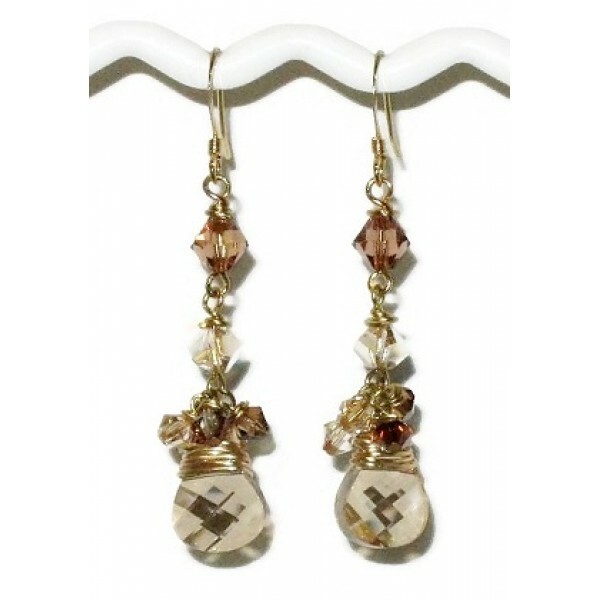 These earrings feature briolette-shaped crystals wrapped in non-tarnish gold plated wire accented with a mix of Swarovski crystals. They measure 2 inches long, which includes the gold-plated leverbacks.